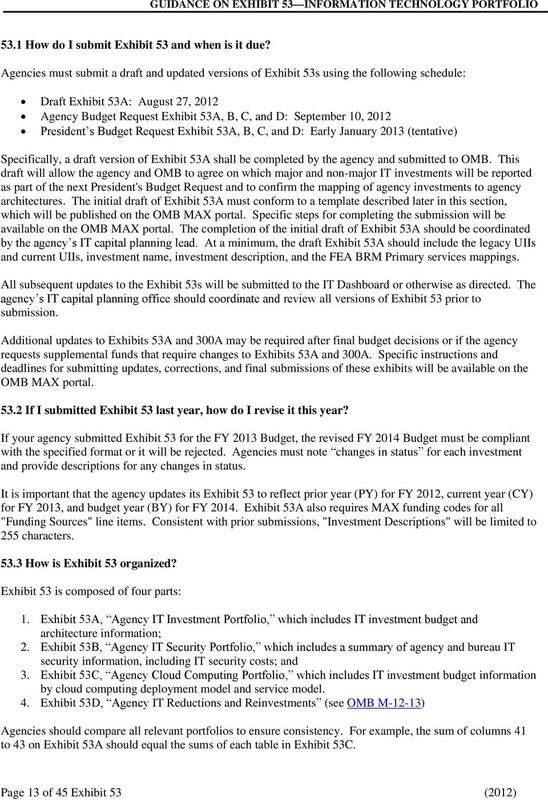 Download "GUIDANCE ON EXHIBITS 53 AND 300 INFORMATION TECHNOLOGY AND E-GOVERNMENT. 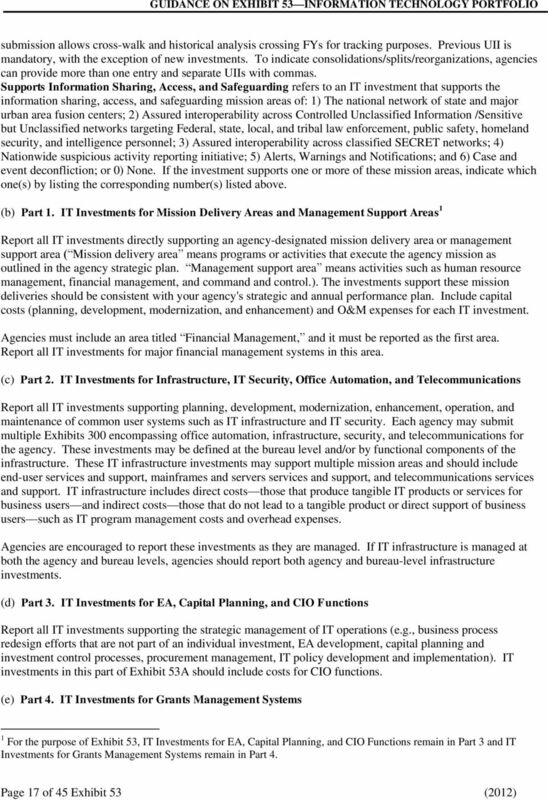 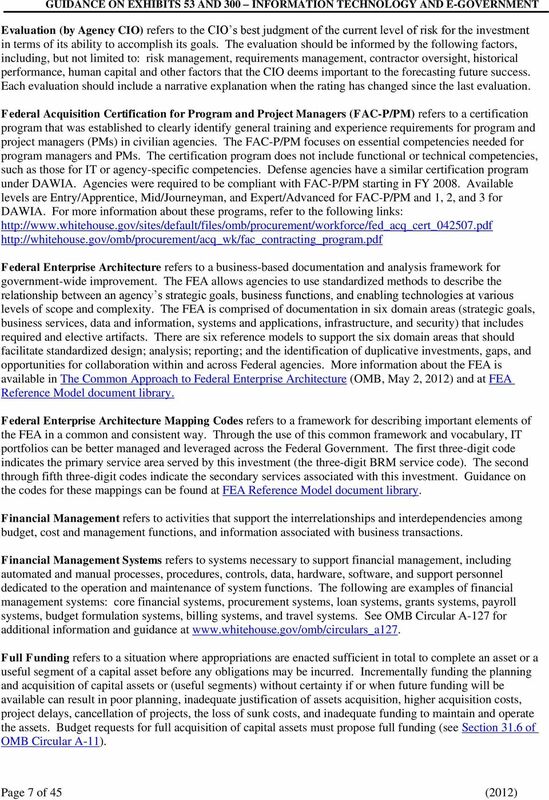 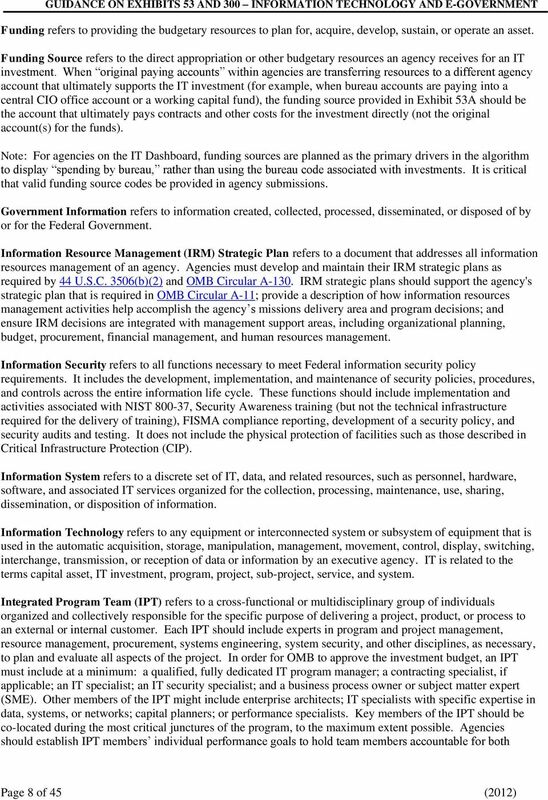 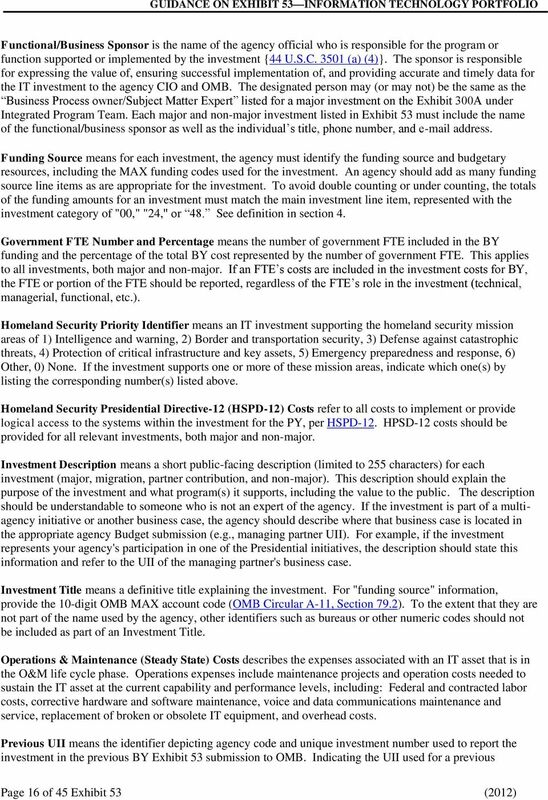 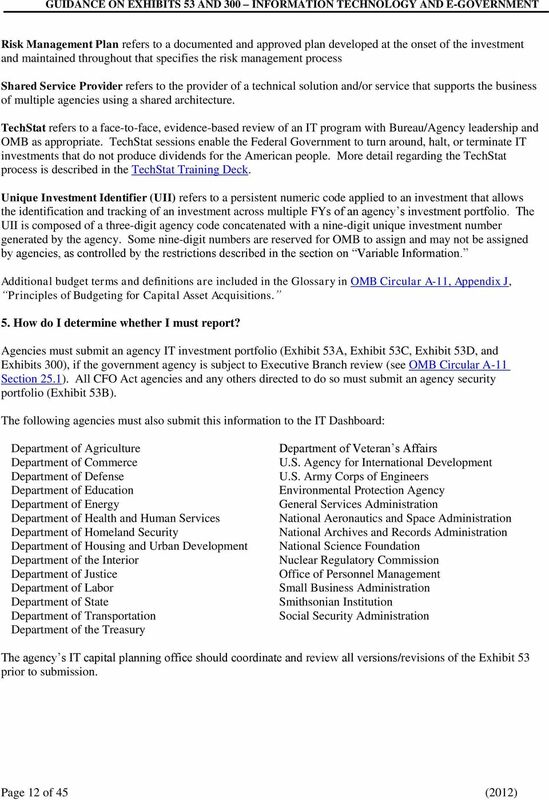 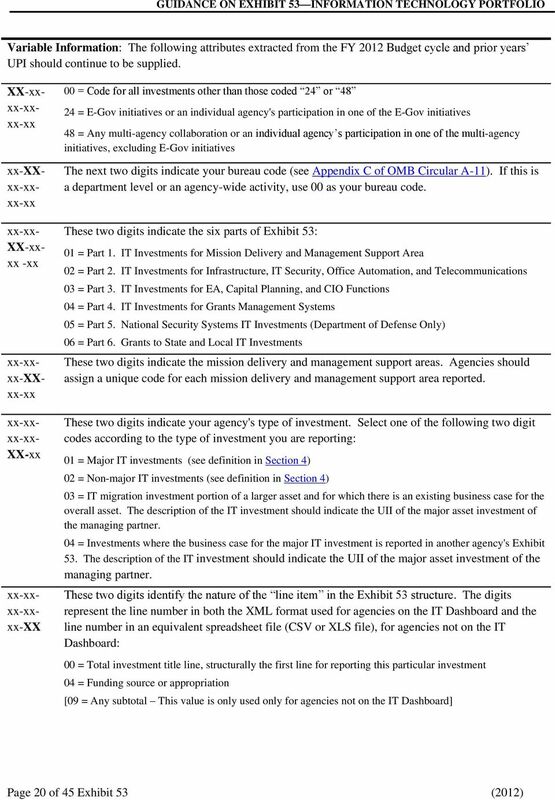 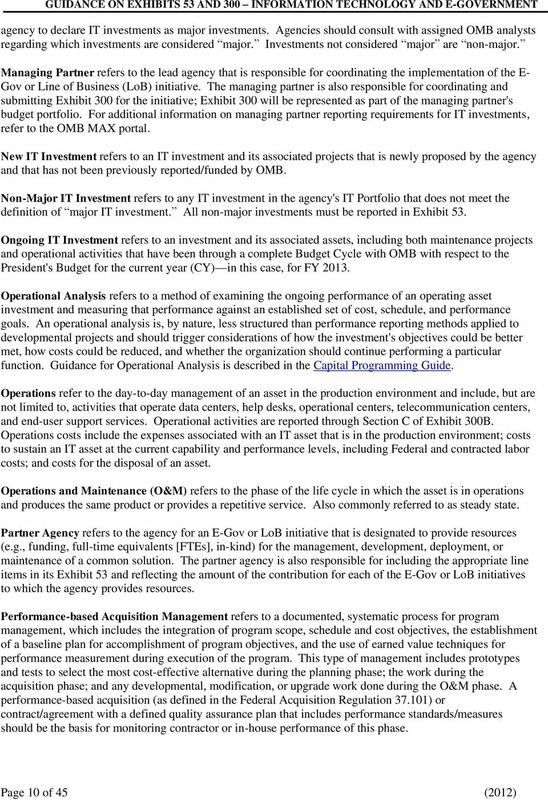 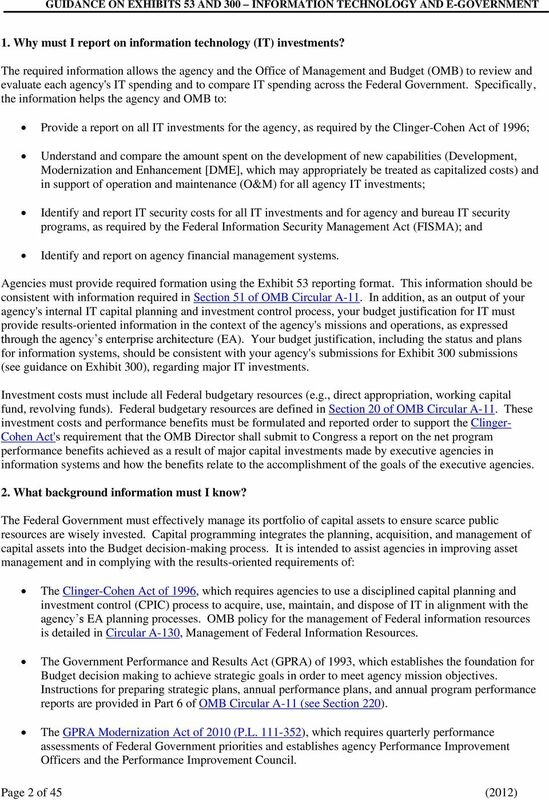 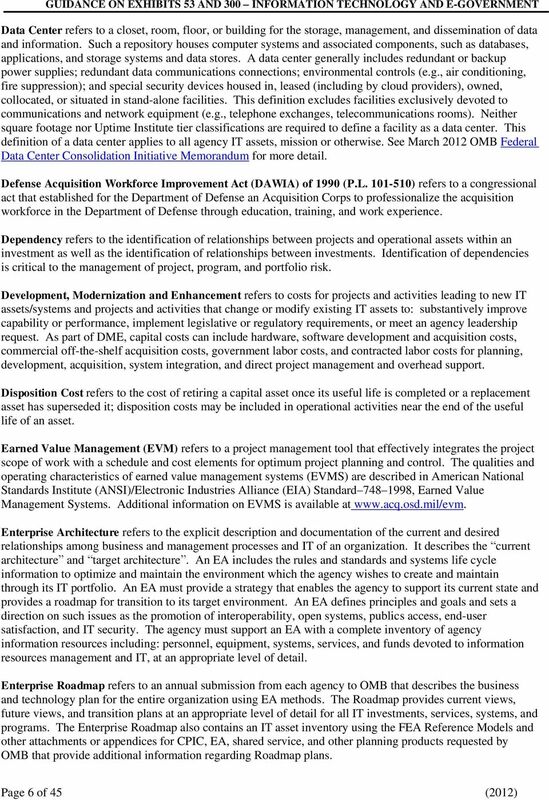 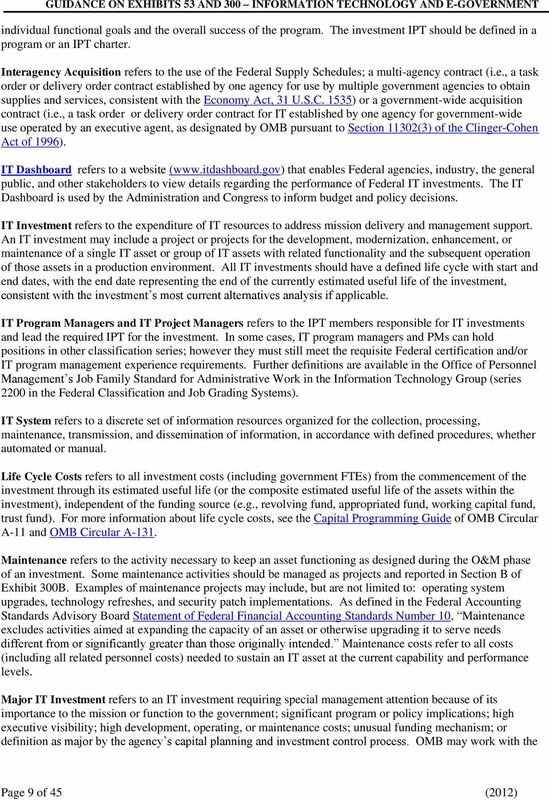 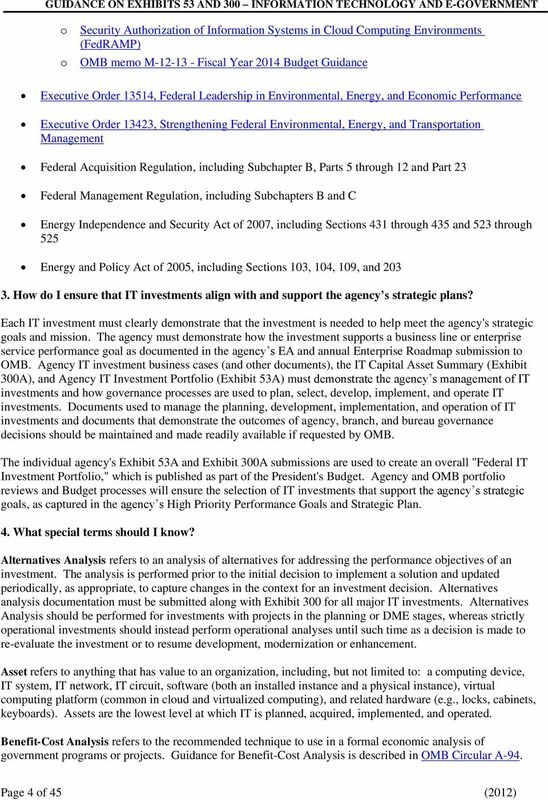 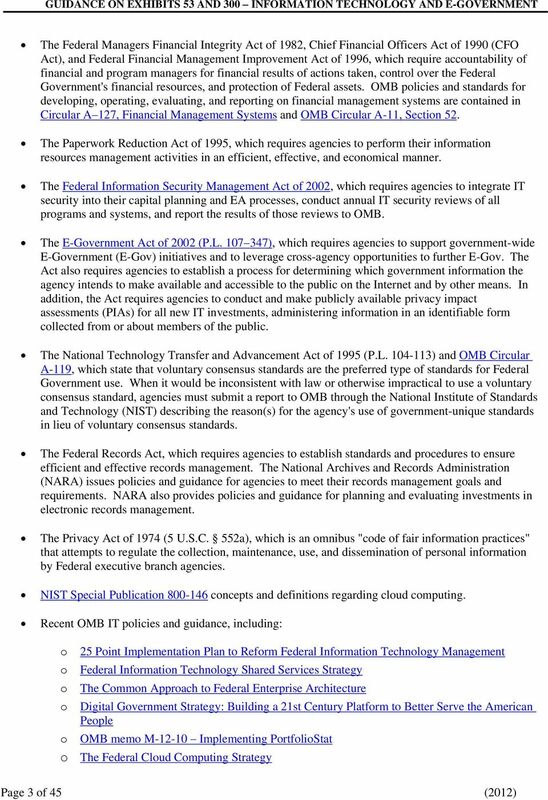 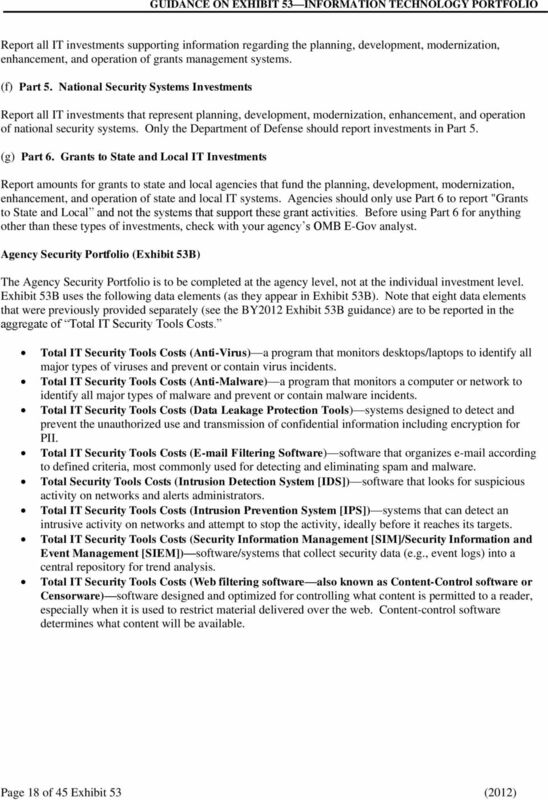 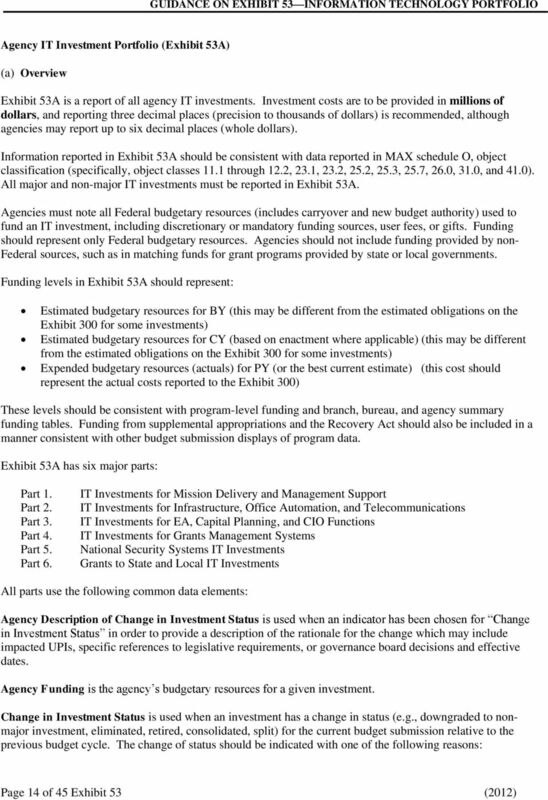 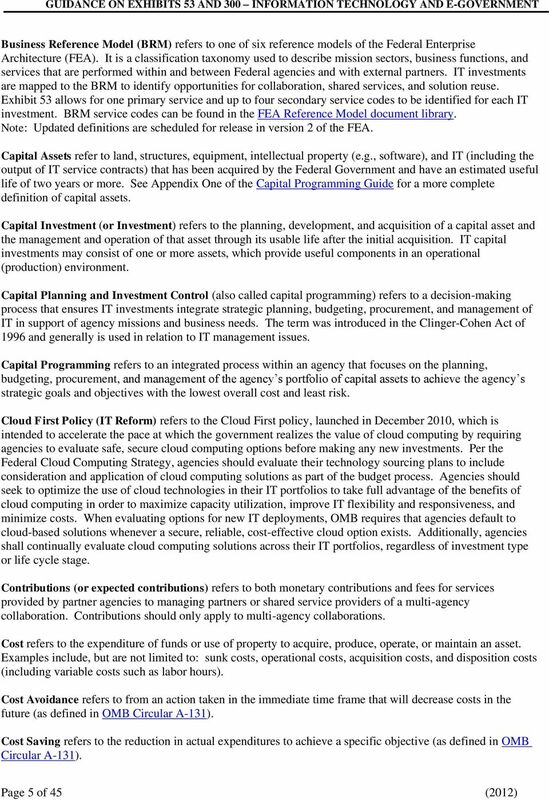 Table of Contents"
FEDERAL CLOUD COMPUTING STRATEGY Vivek Kundra U.S. Chief Information Officer FEBRUARY 8, 2011 TABLE OF CONTENTS Executive Summary 1 I. 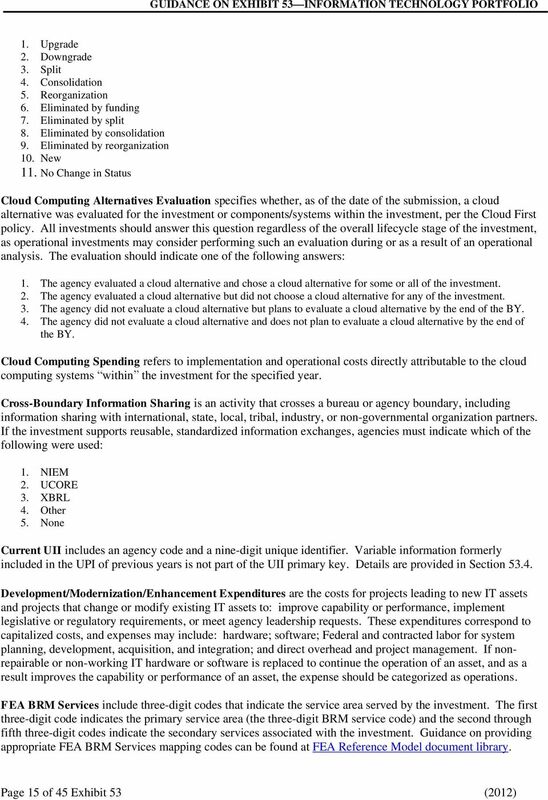 Unleashing the Power of Cloud 5 1. 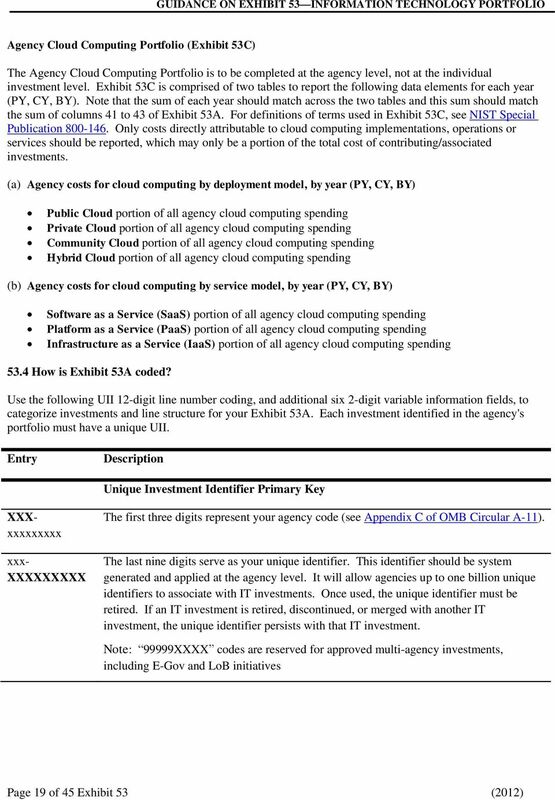 Defining cloud computing 5 2. 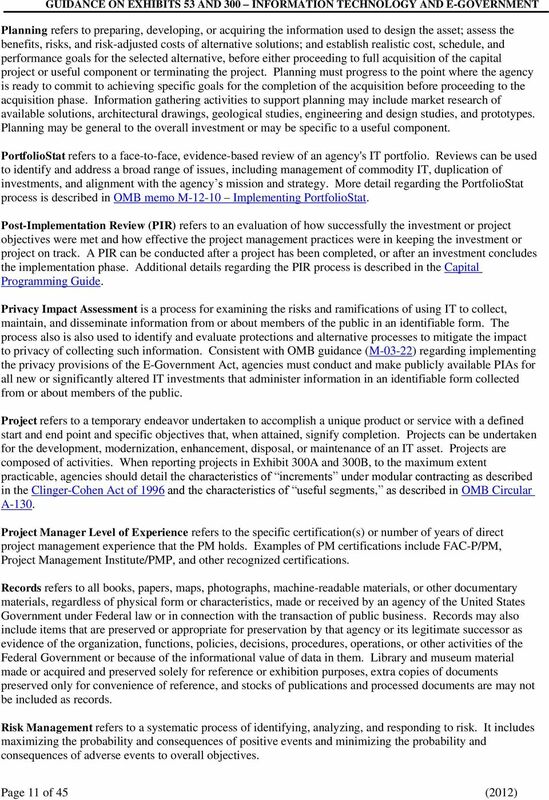 ASSESSMENT REPORT April 23, 2014 Document History This document is controlled through the Document Management Process. 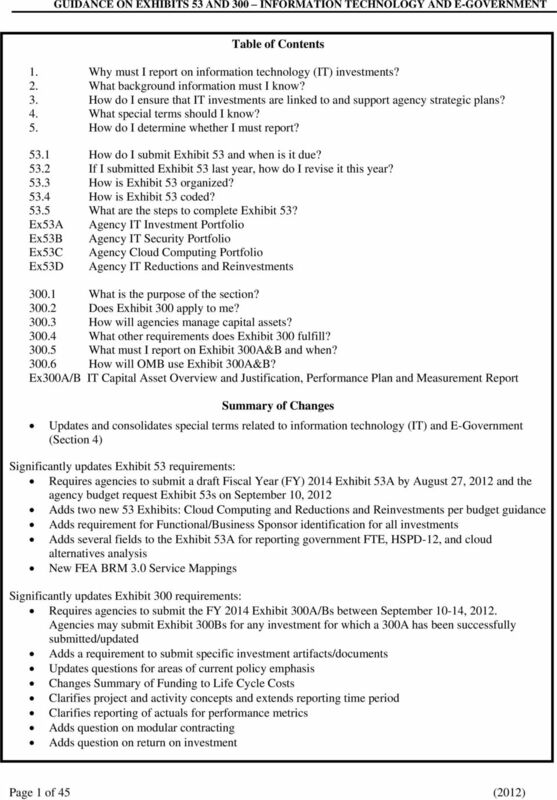 To verify that the document is the latest version, please contact the First Data team.